Canyon Trails is a community in Goodyear, Arizona near the center of the city. The community focus is on residents working together to promote a community that is friendly, healthy and aesthetically pleasing. Canyon Trails offers single-family homes that are consumer inspired, new homes in living areas designed for everyday living. Canyon Trails has onsite parks that are a great way to enjoy the outdoors. There are also multi-use trails, a community pool and a basketball and volleyball court as well as a playground for the younger kids. All these outdoor amenities enable residents to enjoy the abundant sunshine and the breathtaking views of the area. 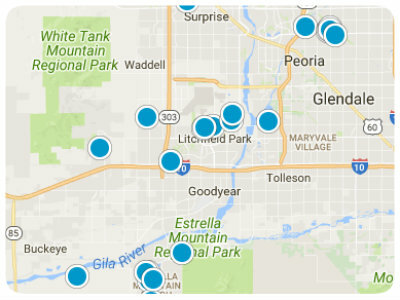 Because of its location in Goodyear, Canyon Trails has convenient access to many fun things to do. Baseball lovers will want to check out the Goodyear Ballpark, which is the home of the Cleveland Indians spring training. The Cincinnati Reds also use the ballpark for spring training. Golf lovers can enjoy the Golf Club of Estrella, which is in the master-planned community of Estrella, also located in Goodyear. If you enjoy hiking and taking in the beautiful landscape, the Estrella Mountain Regional Park offers not only trails for daytime hiking but offers night hiking with guides. If you enjoy museums, The Bible Museum has displays of biblical artifacts going back over 2,000 years. Shopping is also plentiful in the area as are many fine restaurants. 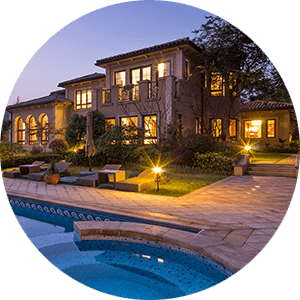 Canyon Trails real estate offers both Spanish–style ranches and two-story homes on spacious lots. There are plenty of options for personalization, including garages. There are also attached homes in the clustered style. Homes in Canyon Trails were built from 1973 to 2018. The homes offer from two to eight bedrooms and range in size from 1078 to 4577 square feet of living space. The neighborhoods are beautifully designed, with on-site parks, trails and play areas. Students are served by the schools Copper Trails, Desert Thunder, Verrado High School, Desert Edge High School and Avondale Middle School. 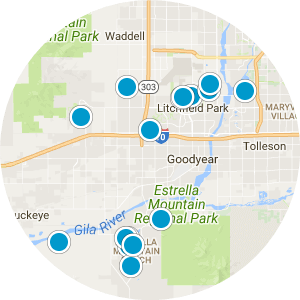 The beauty of the area, combined with the many amenities in Canyon Trails and Goodyear, make this a must consider destination for homebuyers searching in the Phoenix area. 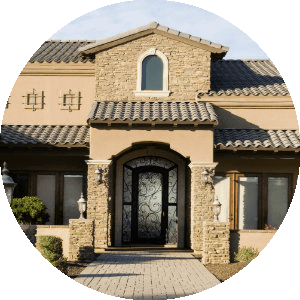 If you would like more information regarding homes for sale in Canyon Trails, Goodyear, Arizona, please contact us today and allow us to assist you.